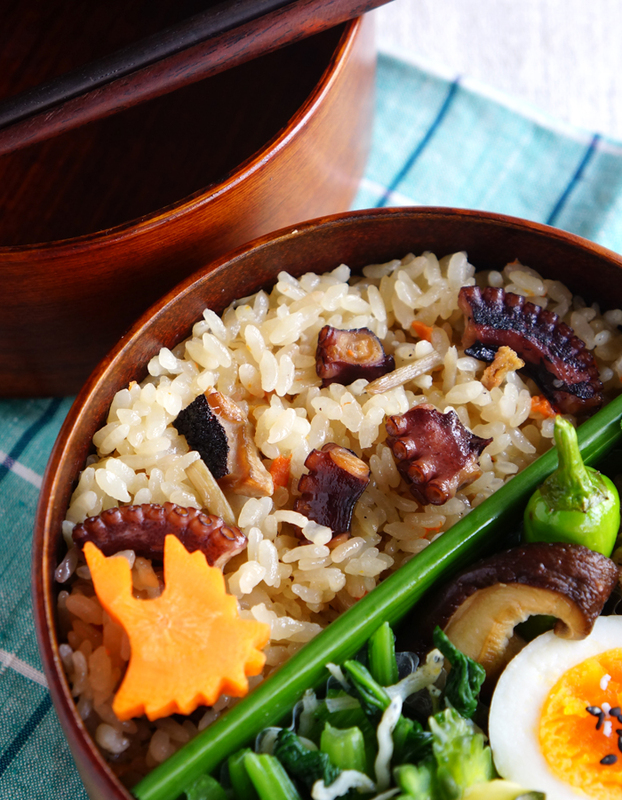 This cooked rice is my favorite way with octopus and I like its chewy flavor. 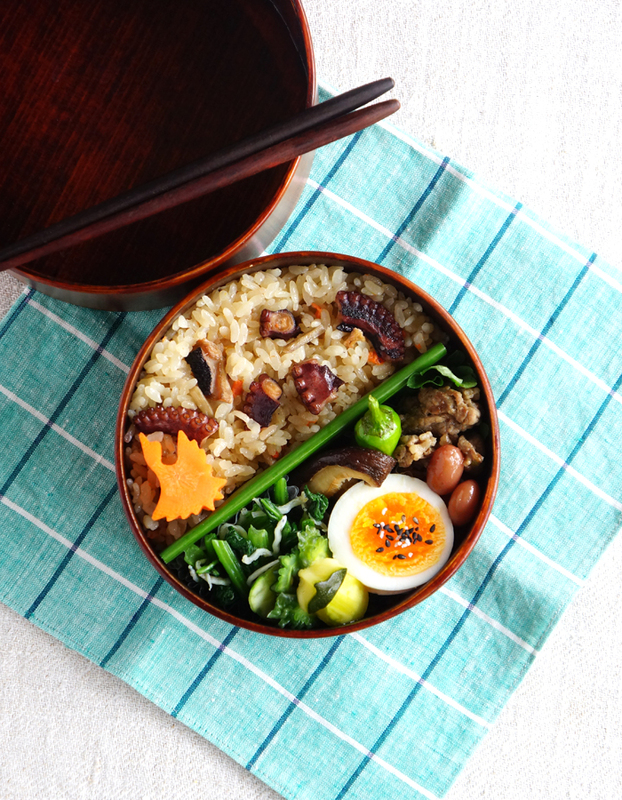 The ingredients for the rice are; store-boiled octopus, carrot, burdock, shiitake mushroom, fresh ginger and abura-age. 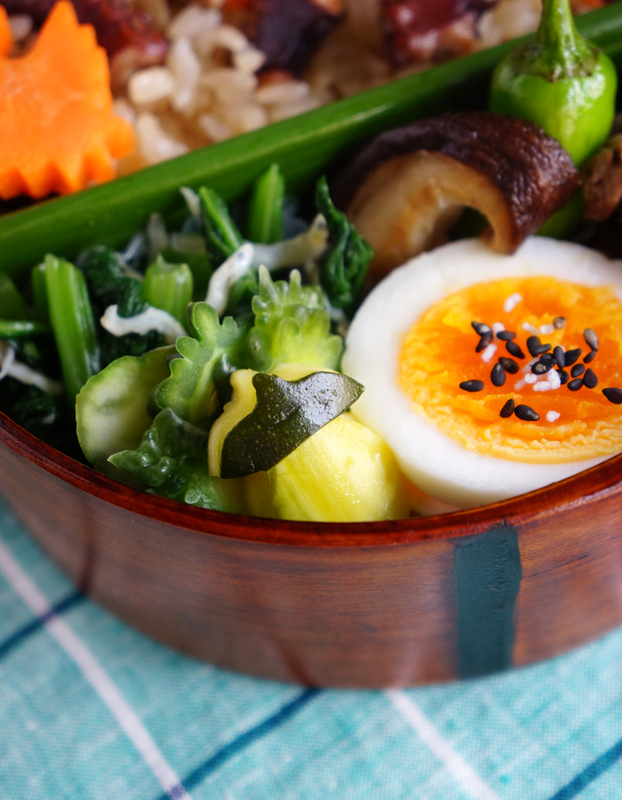 The seasonings are soy sauce and sake. 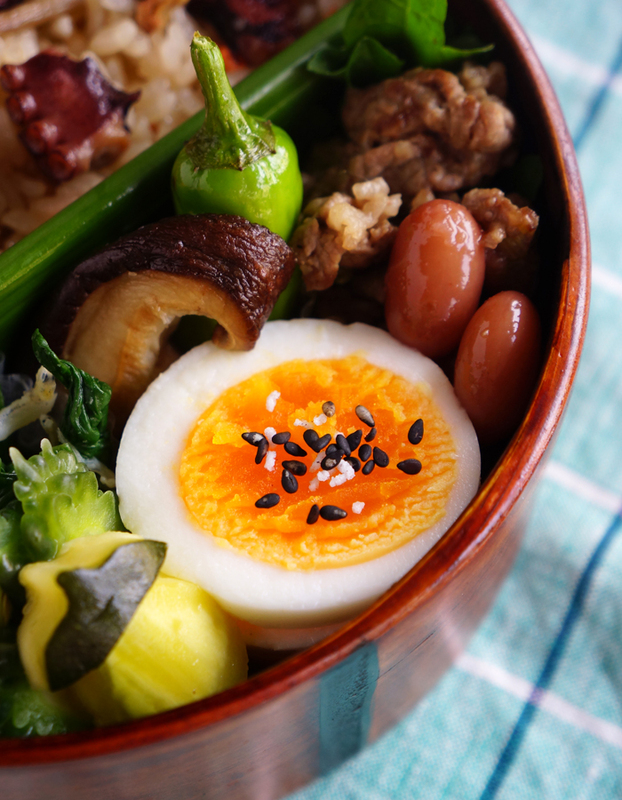 Komatsuna green leaves are simmered and mixed up with whitebait, soy sauce and Japanese mustard. 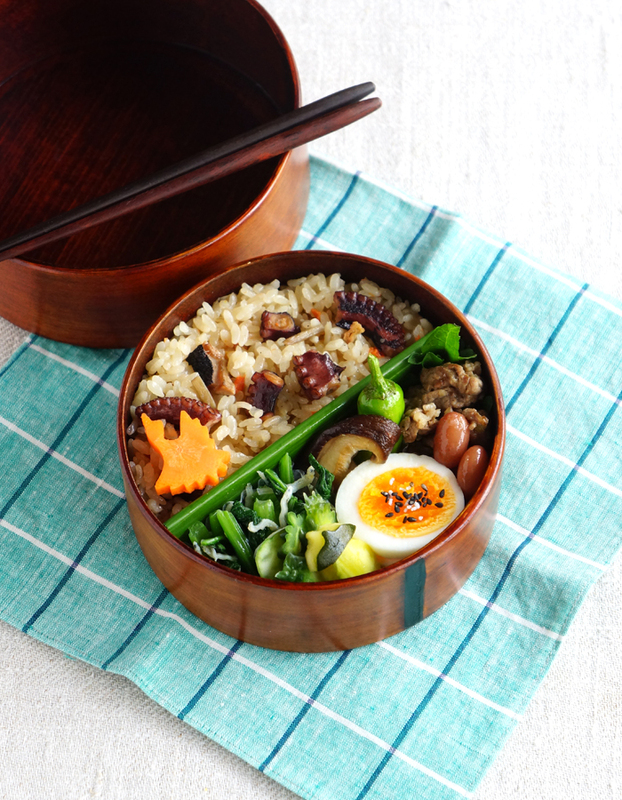 I love cooked rice so much and always pack it into more than half of the bento box. I use “haran”, cast iron plant leaves as a divider. 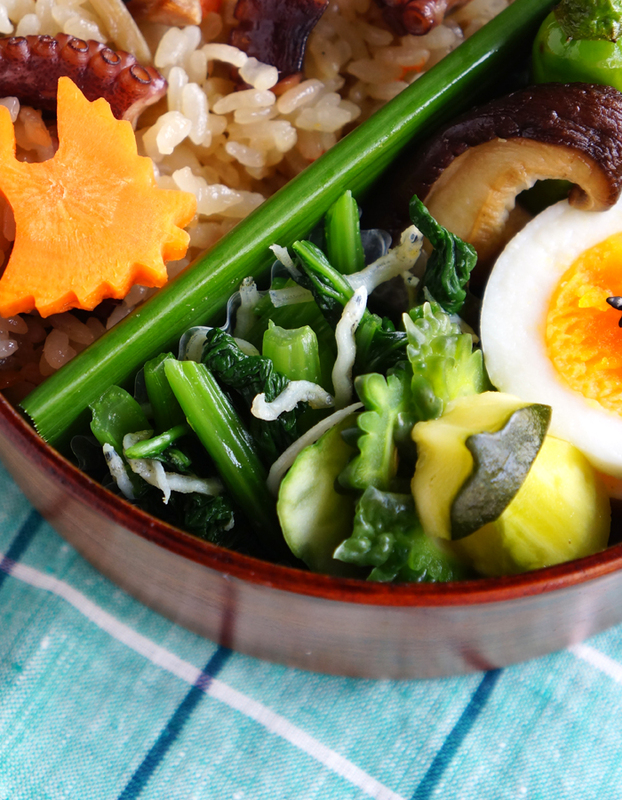 They features glossy dark green leaves and are very useful bento presentation. I like them because they are beautiful, of course and easy easy to grow indoors and outdoors. 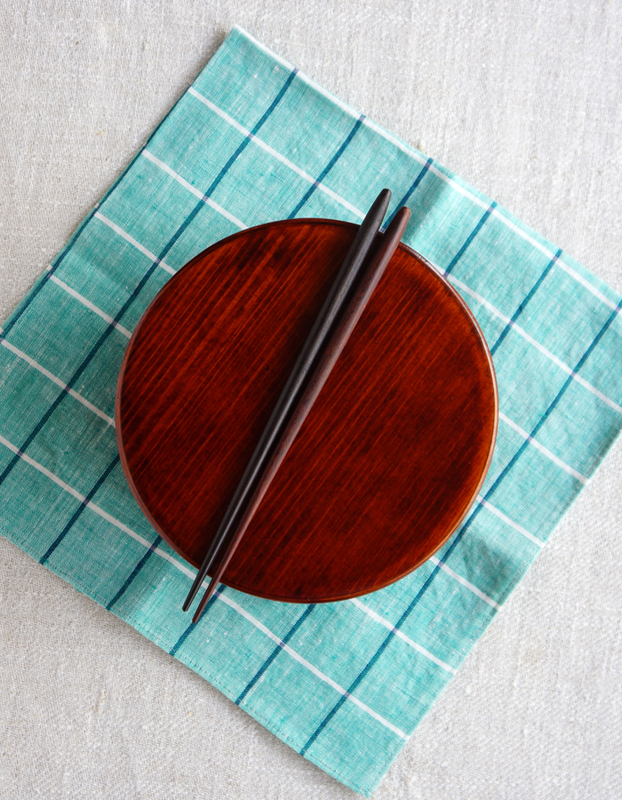 If they are not accessible for you, you can use shiso leaves or edible bamboo leaves in the place of them.